The days when a motorcycle received just a few cosmetic changes and even fewer mechanical ones in the name of a midlife update are clearly behind us. 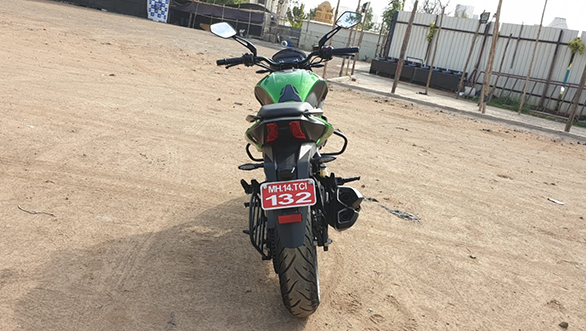 And the 2019 Bajaj Dominar 400 bears testimony to that. When we rode it first, back in December 2016, we came back with the feeling that while the Dominar 400 does look and feel good on paper, it could have been more wholesome as a package. Bajaj Auto claims to have done exactly that with the updated version. We've just spent a couple of hours in its saddle and the findings, may I add here, are interesting. Headlining the updated Dominar 400 is its more powerful engine. It's the same 373.2cc, liquid-cooled single cylinder engine but the motor now offers 40PS (produced at 8,650rpm) as opposed to 35PS (produced at 8,000rpm) which is a significant increment in my books. This improvement in performance has been made possible by moving to a DOHC setup as opposed to the SOHC setup on the earlier version along with a few other changes. 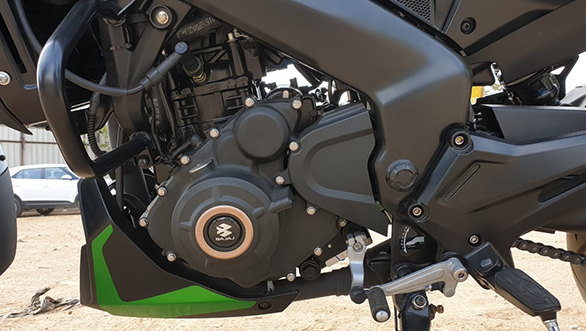 The exhaust note has changed to a throatier and more distinctive tone now thanks to the new, dual-barrel end-can, which looks larger and wears a matte black finish. Another significant change is the move to 43mm upside down forks. These are essentially the same set of cartridge-type forks seen on the current KTM 390 Duke, though the external appearance is different. Bajaj Auto has also traded the old rear view mirrors for new ones, with completely redesigned stalks that are wider to offer a better view. The non-ABS version has been discontinued obviously, so you can now buy the Dominar 400 with a dual-channel ABS only. The instrument cluster continues to use two displays but both have been revised. The primary display now offers current and average fuel efficiency information and also lets you know when the engine kill switch is 'on' or when the side stand is down. The secondary display placed on the tank integrates a gear position indicator, clock and two tripmeters. Of course, images here confirm the biggest visual change, the addition of the new green colour. 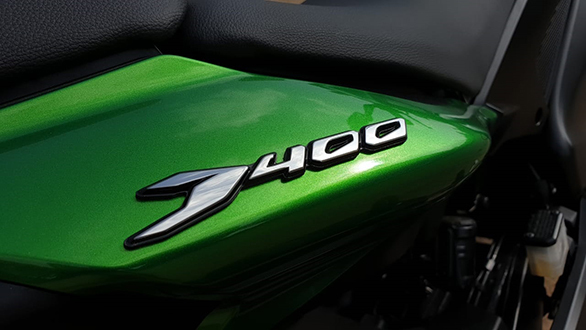 Many have likened it to Kawasaki's Ninja green already but I have to admit the Dominar 400 looks very appealing in this shade. There's a few other changes as well, like the revised internals for the headlamp and tail lamp units which make them better looking, though the basic designs are the same. 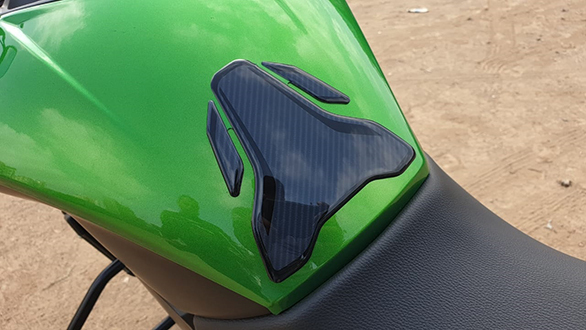 There's a factory-fitted tank pad as well and a prominent 'D' logo on the pillion seat. 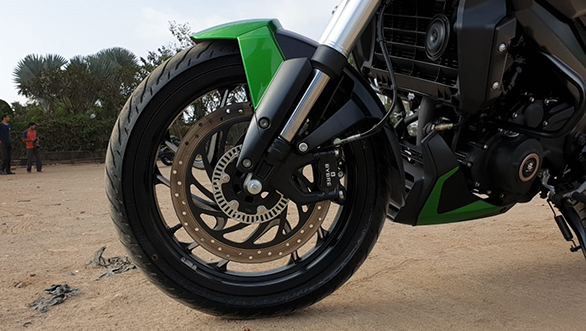 And to add to the bike's touring credentials it now comes with factory-fitted nylon loops under the pillion seat to make strapping your luggage onto it easier. The first thing I noticed was the improved engine performance and refinement. 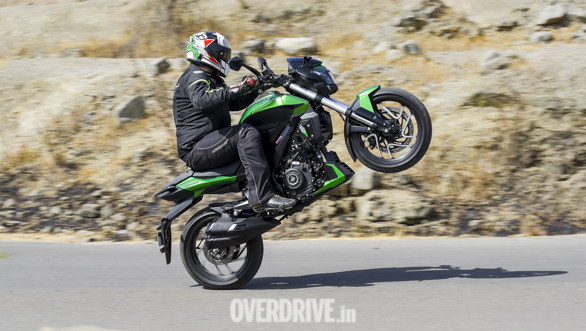 The engine sounds more aggressive, the bike pulls harder  especially in the midrange  and acceleration is brisker. The good news though is that the power delivery is still very linear, despite the motor offering more thrust in each gear. Throttle response is crisp and direct while gears slot in well, which together makes for a good feeling when accelerating hard and hammering through the gears. Importantly, vibration has been damped well and our test bike had very little vibration, even when close to the redline. 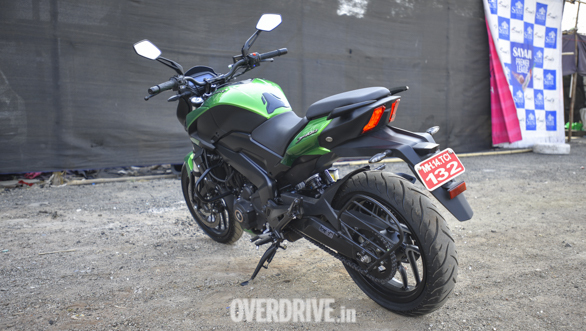 Bajaj tells us vibration was an area of concern and special emphasis has been laid on reducing it and I have to admit, the updated Dominar feels a lot better. It also feels quicker to steer and turn into corners, something that was a concern on the previous version. Handling in traffic has thus improved, while entering fast corners is a quicker affair. 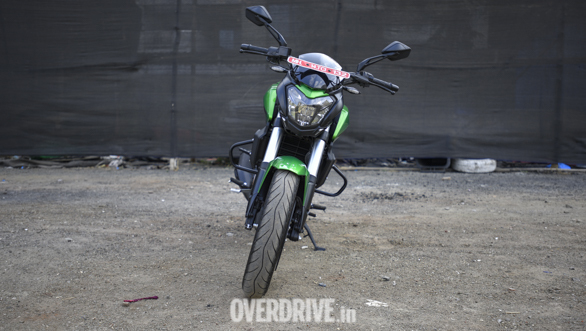 Like before, the Dominar 400 is shod with MRF Revz tyres at both ends, which offer good grip and aid rider confidence even when leaned into corners. What's more, the new Dominar 400 feels even better at masking its heft  the various changes have increased kerb weight by 2kg to 184 kilos  but the bike's handling does not let you feel the weight. It's only when having to maneuver it around that you feel the weight. 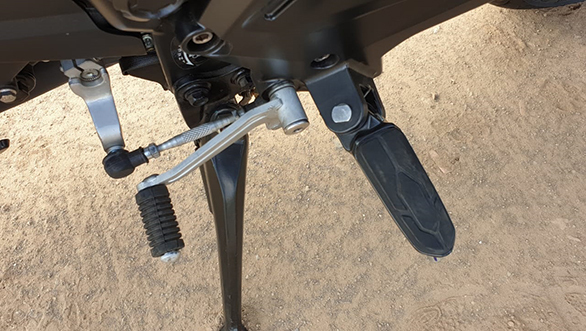 The rear monoshock has been made more pliant so the Dominar 400 does not threaten to throw you off the seat if you hit a speed breaker or bump at speed anymore. Shock absorption abilities at both ends are better, which should also make for lesser fatigue on long rides. 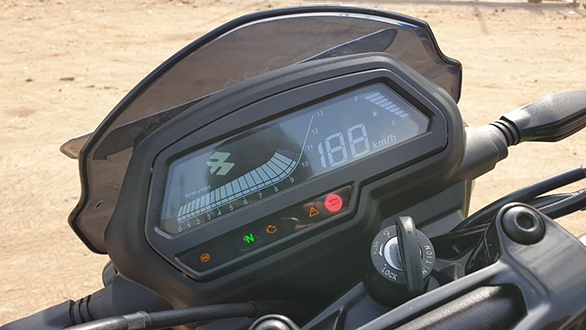 And talking about touring, the tachometer displayed 6,500rpm at a speedometer indicated 120kmph, with barely any vibration  from the footpegs, tank, seat or handlebars  which means the updated Dominar will be a more accomplished tourer. The riding position is also the same as before and you sit upright while the footpegs are ever-so-slightly rearset. This makes for a comfortable posture and works well in city traffic and on the highway as well. 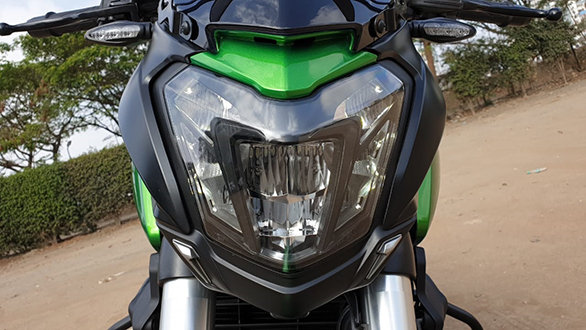 On another note, it is not easy to view the secondary display on the fuel tank on the go though, as it is out of the rider's line of vision and taking your eyes off the road to take a look at the gear position or tripmeter is a no-no. As I mentioned, the improved performance was apparent as soon as I started riding. The power delivery is smooth and linear just like before, which means the Dominar 400 will continue to offer a friendly feel, even to novice riders. But the 5PS bump has improved acceleration significantly. Of course, power to weight ratio has jumped from 192.3PS/tonne to a more impressive 217.4PS/tonne, which only means the Dominar is quicker, as confirmed by our VBOX test. In fact, the updated Dominar 400 is over half a second quicker to accelerate to 100kmph! I had clocked a 0-100kmph time of 8.4 seconds on the old Dominar 400, while the updated version managed the same in 7.6 seconds, which is very impressive. In-gear acceleration has improved as well, as the updated bike pulls harder in each gear. However, it is also worth noting that the improved acceleration will result in a minor yet noticeable drop in fuel efficiency. 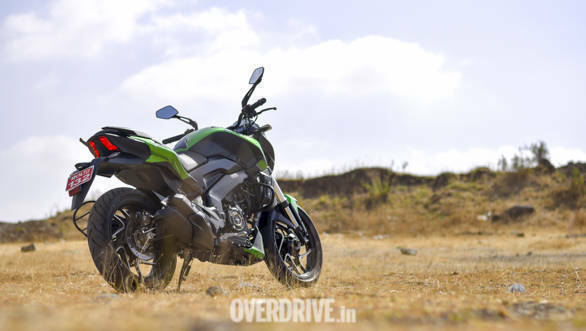 The 2019 Bajaj Dominar 400 smoothens out a lot of rough edges on the original and in fact, this is what the Dominar should have always been. The updates make it a more wholesome and a more compelling package as it feels sportier and more fun to ride, while also feeling more comfortable. The updates though will command a premium  upside down forks and a DOHC head are fairly expensive additions and we expect the updated Dominar 400 to retail at about Rs 1.80 lakh ex-showroom. 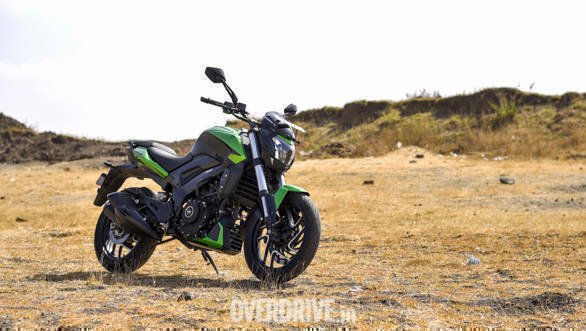 That is a hike of about Rs 17,000 given the outgoing version's price of Rs 1.63 lakh but for the money you get a motorcycle that ticks more boxes now and is more appealing. Interestingly, if priced around the Rs 1.80 lakh mark, the Dominar 400 will still undercut most 300-400cc bikes in the country like the TVS Apache RR 310, Honda CB300R, KTM 250 Duke and 390 Duke as also the BMW G 310 R. That should make for an interesting comparison test!